Nurturing Skills shines again by winning collaborative tender and beating Chesterfield Borough Council’s high pre-sales membership target. There are times when two brains are better than one. So when Leisure-Net Solutions and Nurturing Skills joined forces, the outcome of an impressive team effort was monumental. We proudly won the tender to provide pre-sales business development to the new Queen’s Park Sports Centre, Chesterfield Borough Council (CBC). By working together, we achieved a high tender score of 99.4%, which meant our collaboration was the perfect match with which to accomplish CBC’s desired target. Leisure-Net Solutions is the leading provider of Customer Insight, Business Intelligence and Consultation services to the cultural services, active leisure, and health and fitness industries. 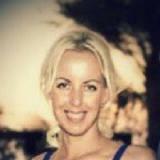 Nurturing Skills specialises in generating leads, increasing conversions and boosting sales by providing essential tools to the health and fitness industry, including sales systems, sales training, sales management, and lead growth strategies to improve business. Nurturing Skills proudly boasts the completion of FIVE successful pre-sales projects in less than three years. 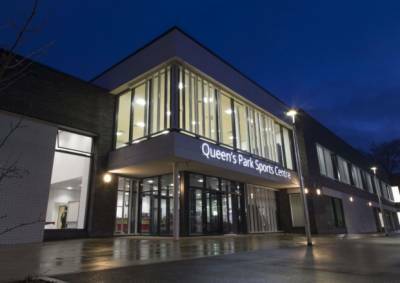 Chesterfield Borough Council has built a modern, replacement Queen's Park Sports Centre on the site of Queen's Park Annex.Building work began onsite in autumn 2014 and the new sports centre opened in early January 2016. The centre is funded by £6.725 million from Chesterfield Borough Council, £2.5 million from Chesterfield College (as part of a dual-use agreement), £2 million from Sport England’s Strategic Facilities Fund and £25,000 from Squash England. David Monkhouse from Leisure-Net Solutions and Lesley Aitken from Nurturing Skills were tasked by Mick Blythe, CEO and his management team at CBC to quickly recruit, train and lead three pre-sales people. This enabled rapid membership sales growth of 750 new members, including 100 corporate memberships and 50 student memberships from mid-Oct 2015 to early January 2016 when Queen’s Park Sports Centre opened. We were also tasked with creating and delivering a marketing pre-launch plan, and to work in partnership with Cathy Hinde, Marketing and Communications Officer at CBC, to generate enough high quality leads to achieve the sales target. 3 months, working via a monthly retainer averaging 3.5 days each week. We exceeded CBC’s sales target of 750 new memberships by 30%, and encouraged 1000 new members to participate in physical activity. Our goal was to quickly find three members of staff from existing centres. Key skills included superb communication skills, determination, good product knowledge, a passion for health and fitness, and a willingness to learn. We managed CBC’s expectations by advising that initial sales training and recruitment activity would take at least two weeks. One-day of sales training and pre-sale expectations were delivered to staff including gym, reception, and duty officers. Then all staff were invited to apply for a Business Development role during pre-sale. Applicants were invited to attend an intense recruitment day, comprising an interview and various sales tasks. We offered the roles quickly to a receptionist, fitness instructor and attendant, who are now top-performing sales professionals. All members of the pre-sales team received the highest quality sales training and coaching, as well as unrivalled ongoing support. By playing such a hands-on role, we empowered all team members and enabled them to succeed. To generate volume membership sales prior to opening, we used marketing tactics to create urgency and scarcity in the market place. This encouraged people to join at a special and limited pre-opening membership rate. Many budget gyms cost under £10 per month to join in pre-opening; however, we had to maintain CBC’s existing average yield price of £20 per month. Therefore, we designed the pricing strategy to protect the yield. We sold the pre-opening, all-inclusive memberships in three phases ranging from £19.99 per month up to £26.99, and one month free before opening. With no online joining available, the pre-sales team had to capture, follow-up and convert every generated lead. With a small marketing budget and the need to capture leads, we cleverly created a new cost-effective website. This consisted a landing page with new site visuals and video, FAQs, and ample action buttons to a pre-opening registration web form. 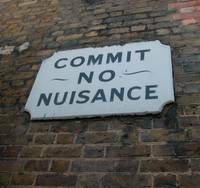 It quickly became a proven marketing, lead and sales generation tool when compared with the old council informative site, which only generated a small number of email enquiries and lacked full lead data capture of full name and telephone number. All marketing was aligned with the pre-opening pricing offers and ensured a consistent marketing message across all channels and methods, such as social media, press-releases, flyers and referral incentives. It was important all online marketing, including social media, and offline traditional marketing drove as many people as possible to the website landing page to capture their full data. This was then sent electronically to a sales and lead management system, which immediately alerted a member of the pre-sales team to make contact. We provided CBC with a sales and lead management system designed for selling memberships, and could track and monitor our valuable leads, which was critical to the success of exceeding our target. The speed at which the pre-sales team responded to website leads was paramount to conversion success of the prospect into a fully-fledged new member. Furthermore, the quality of the response was key too. Friendly, approachable, supportive and knowledgeable are all essential attributes. And with competition amongst health and fitness clubs in Chesterfield at its most fierce, giving great customer service was critical. Every prospect who registered online for a pre-opening offer received an auto-responder first; this explained that a member of the team would call them. No online joining meant we had to work harder. Many prospects would have joined online – and at any time. However, even without online joining we still exceeded our target and all new members received the personal touch! The business development team had flyers, posters and banners. Plus, banners were strategically placed close to the new build. Every day a member of the pre-sales team would network with small businesses in Chesterfield, plus canvassing in well-known supermarkets, Chesterfield market, and large local organisations such as the NHS and Royal Mail to promote the new sports centre. Even if they weren’t signing people up immediately, they were influencing them to visit the website or pre-sale membership suite. We generated many referrals from new members, and trained pre-sales team to generate and convert referral leads. As a result of the training and volume of referral skills and activity delivered, we received a constant stream of new members via referrals. Other marketing activities used were press releases, emails and texting. We didn’t spend our small marketing budget on radio or large newspaper advertising. We believe traditional advertising methods no longer offer a good return on investment. We consistently marketed both online and offline. And combined with a mix of tactics we ensured people understood our pre-opening marketing message and how to join, which lead to a great result and return on investment. We empowered the highly trained and consistently coached pre-sales team to be creative, accountable and responsible for hitting their numbers. Yes, they made some mistakes along the way, but they quickly responded with a positive attitude and learning outcome which enhanced their performance. Their morale and confidence was boosted by every small achievement, which lead to a huge celebration and acknowledgement of achieving 1000 new membership sales. Nurturing your health and fitness club, gym, or leisure centre is what Nurturing Skills does best. We nurture your membership sales teams to ensure that the successes keep on flowing. We develop and support your membership sales teams, as well as management teams, so that confidence levels go up – and stay up! And we boast a proven track record amidst what is undeniably a competitive and challenging industry when it comes to boosting membership sales – the numbers speak for themselves. You’ll no doubt appreciate that nurturing your business and team is the first, and most important step, to achieving your membership sales goals and boosting those crucial numbers. However, at Nurturing Skills we’ve been so busy over the past 3 years helping our countless happy customers that we thought it was about time our own business received a little nurturing and TLC of its own. Meet Adam Daniel. We like to think that the past 3 years have been akin to a marathon for the Nurturing Skills’ team. Thanks to some remarkable stamina, and periods of sprint-like speedy growth, Nurturing Skills has gone from strength to strength. And as a result of some pretty impressive development we’re in our strongest position yet and are delighted to welcome Adam to the team. We are proud of our consistent track record; achieving fantastic and proven results for our customers day after day is no mean feat. Furthermore, we have just taken on board a major contract to supply training for a Facility Management Group, so it’s a great time for Adam to join us. Nurturing Skills is now one of the UK’s most respected providers of leadership and sales coaching, training and mentoring within the health and fitness club, gym, or leisure centre industry. And as a result we are regularly asked to help develop health and fitness teams, personal trainers and leaders with our bespoke training plans. We also offer personal training and fitness programming – and thanks to Adam’s sporting experience he’s a real asset to the team. With an extensive background within the fitness industry sector, Adam adds to the Nurturing Skills team’s pool of corporate knowledge. Furthermore, Adam recently completed an International Sports Management MBA from Loughborough University. He is now combining his industry knowledge and experience with the theoretical aspects of the MBA as he joins Nurturing Skills – and opens his own multi-faceted training hub. Adam prides himself on providing outstanding customer support, and places great emphasis on developing exceptional working relationships. What’s more, he has spent the last few years juggling the demands of work, family and study, which will serve him well when it comes to balancing the needs of the many companies now working with Nurturing Skills. He believes in a strong work ethic, continuous learning and connecting himself with positive and inspirational leaders who help shape and define his future. In recent years, Adam’s excellent communication skills, analytical thinking, innovative ideas and advanced organisational skills have lead him into team leadership, and presenting and programme development – all whilst maintaining a personal training business. Adam is a highly motivated, self-sufficient individual and team member who thrives on new responsibilities and challenges. He always strives to maintain the highest standard of work, with exceptional accuracy and impeccable attention to detail – and a reputation for results. 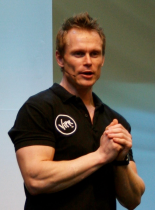 These attributes have seen him featured in ES magazine as one of London’s top 6 personal trainers, and also explain why he is such a sought after presenter and consultant. On joining Nurturing Skills, Adam said, “I am delighted to become a part of the Nurturing Skills team and I am particularly looking forward to building new relationships with clients looking to book leadership, fitness training and fitness programming development. It is an exciting opportunity to be working with a company that values my varied skills and I look forward to further business growth”. Adam has been fortunate enough to have accumulated a wealth of experience in both his sporting career. He competed as an international athlete and semi-professional rugby player, as well as his professional career where he has worked in countless environments, including one-to-one training, group training and management.